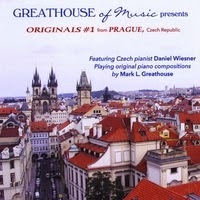 For those of you who like melodic piano music with a hint of the past -- maybe the 20’ and 30’s -- here is another in the series “Originals from Prague”. These beautiful, original tunes will stick in your mind! Guaranteed! 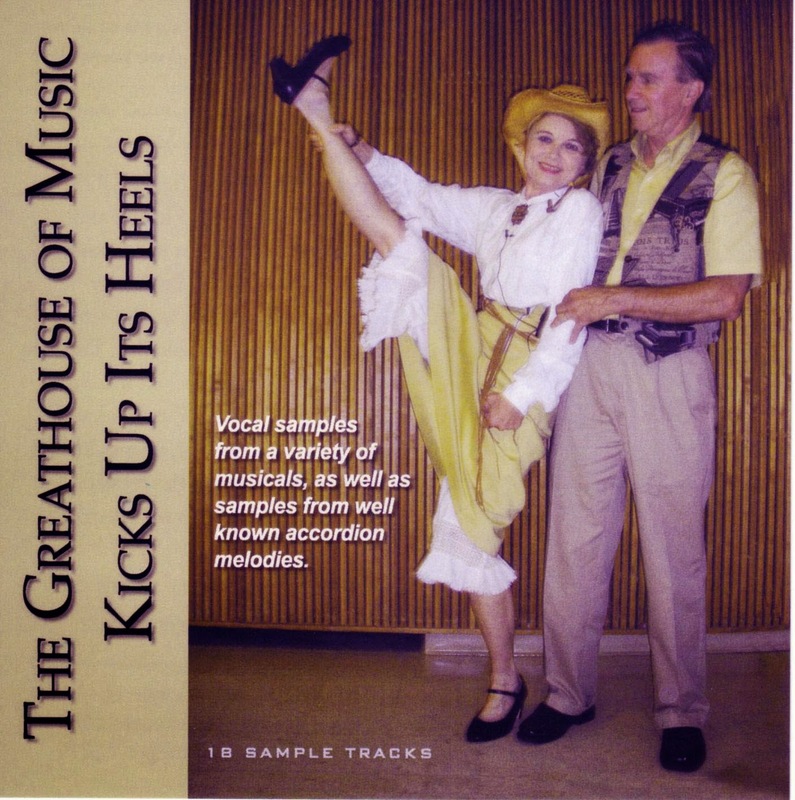 Included are two vocals. 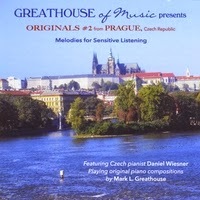 A collection of original compositions by Mark L. Greathouse: Fourteen melodic piano pieces for quiet reflection, two vocal numbers sung by Helena Greathouse, all played by renowned Czech artist Daniel Wiesner. 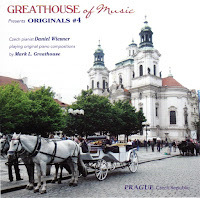 Also a choral piece recorded live in Prague. 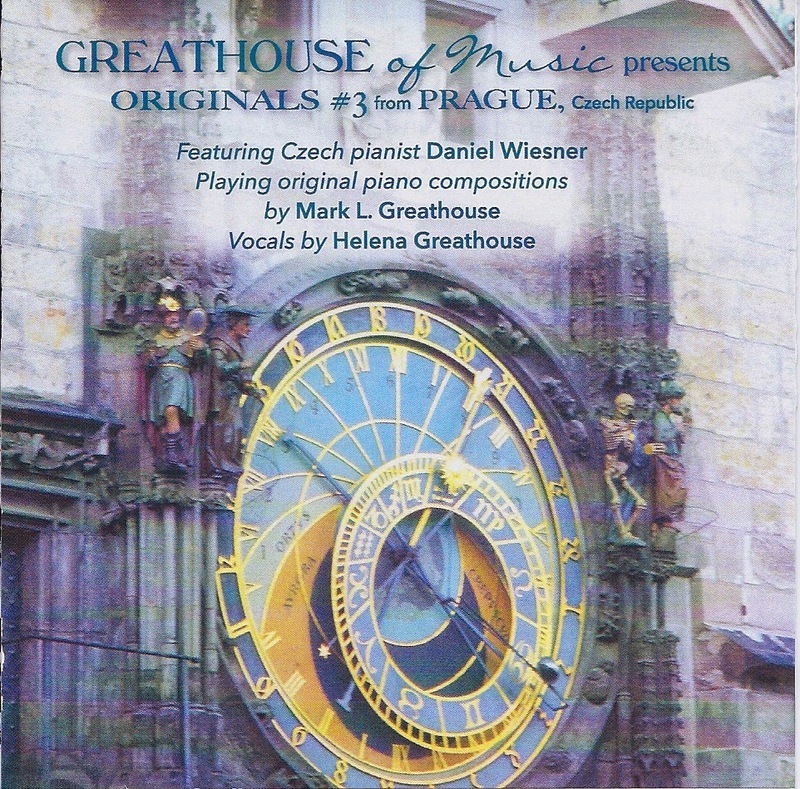 This CD is a collection of original compositions by Mark L. Greathouse: fourteen melodic piano pieces played by renowned Czech pianist Daniel Wiesner, some of which even resemble parlor music and ragtime with that roaring 20's feel. 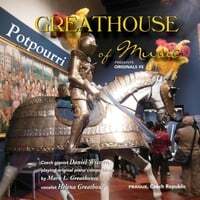 Included are also two of Mark’s vocal numbers sung by Helena Greathouse, one a lyric love song and the other filled with fun. 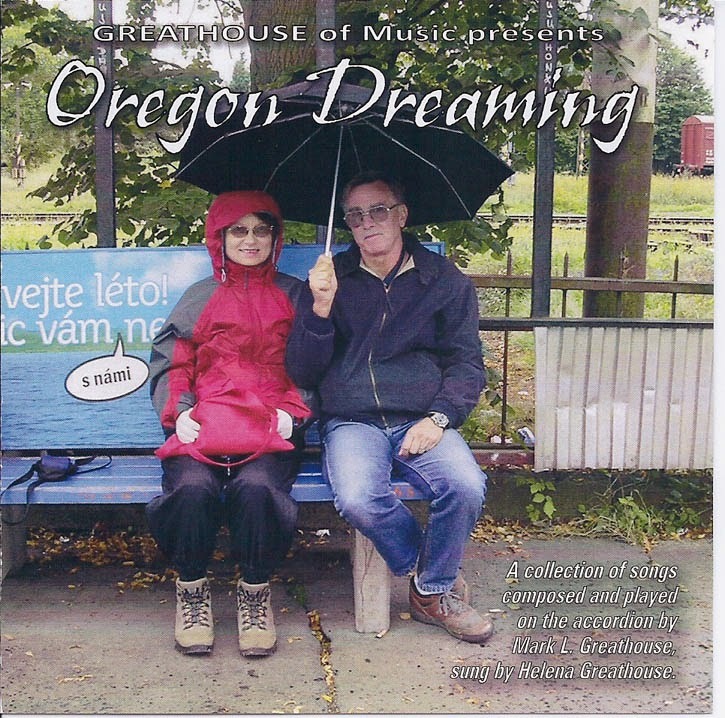 "Czech and Slovak Folk Music"
This CD is a collection of Czech and Slovak folk songs including four Christmas carols. 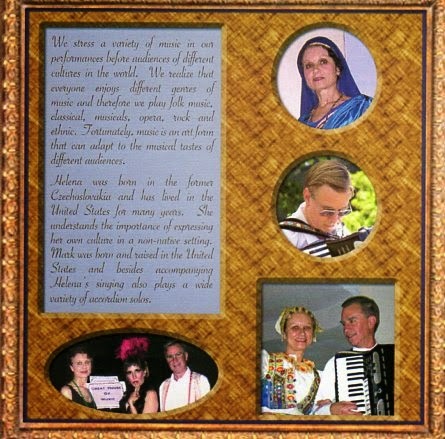 These songs are hundreds of years old and some depict the life of the area where they originated. Most were composed by the very people who lived and worked on the land. The composers are unknown. The subjects often deal with agriculture, boyfriends, girlfriends, daily activities in the villages, wine and beer, celebrations, weddings, etc. 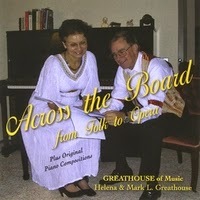 "Across the Board consists of vocal selections alternating with original piano pieces by Mark L. Greathouse. 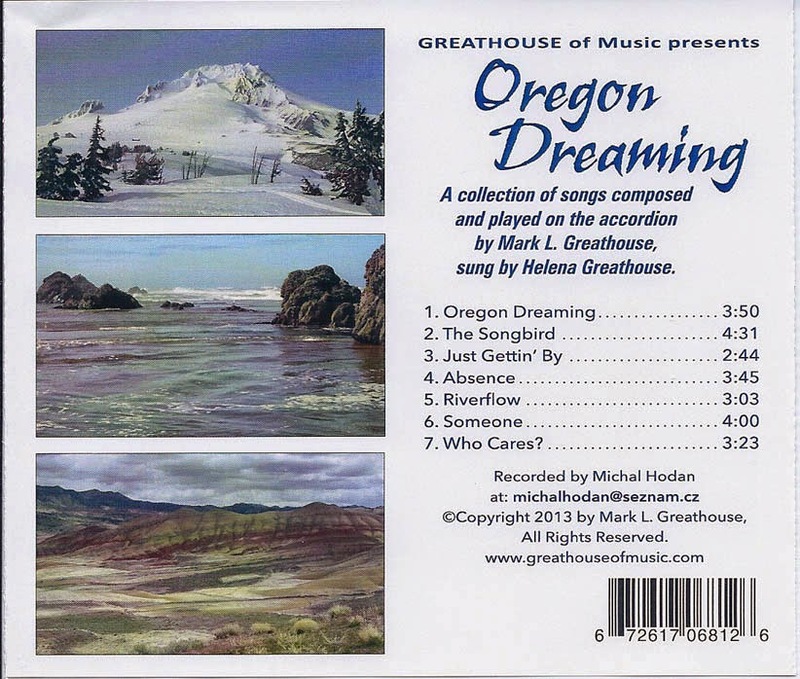 The vocal pieces sung by Helena Greathouse range from eastern European folksongs to contemporary pieces, to selections from musicals by Marilyn Olson, to a classical operatic aria. 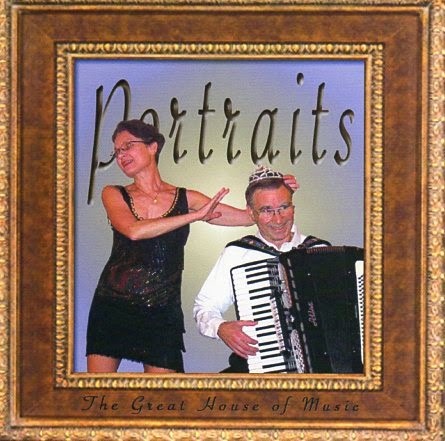 (from the musical "Porgy and Bess"
Sample Tracks from our First CD Album "The World"
Sample Tracks From Our Second CD Album "Portraits"
Sample Tracks From "Mostly Accordion"